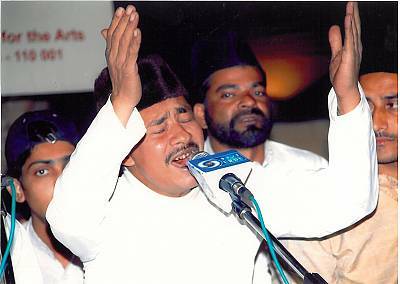 EN: Ustad Musawwir Khan teaching young students the nuances of singing of Chaar Bayt. 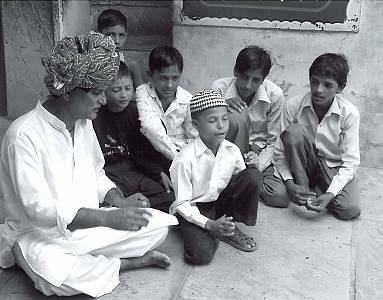 EN: A young boy engrossed in a Chaar Bayt song. 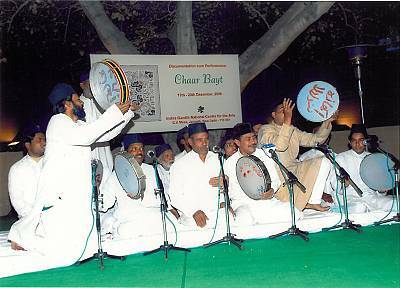 EN: The young and the old sing with equal vigour-A Chaar Bayt performance in New Delhi. 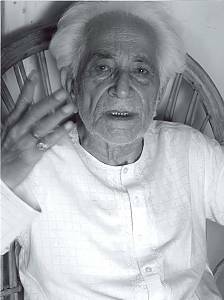 EN: Nawab Mirza Rafiullah Beig of Tonk. 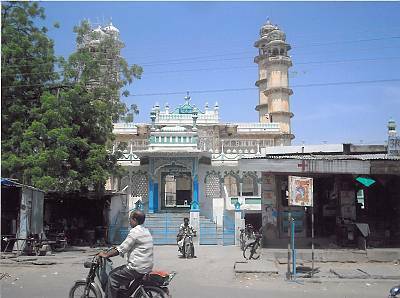 The Nawabs of Tonk patronised Chaar Bayt for 150 years, and held competition their court. 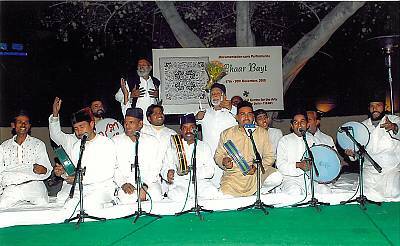 EN: Saif-e-Hind group performing in New Delhi. 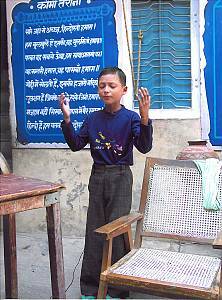 EN: A young boy who has become the lead singer of a group from Rampur. 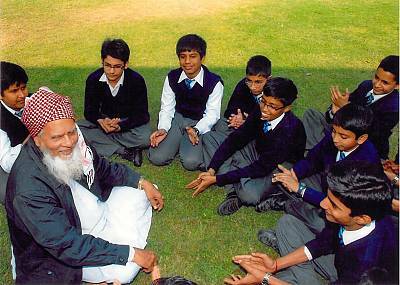 EN: School children learning skills of Chaar Bayt. 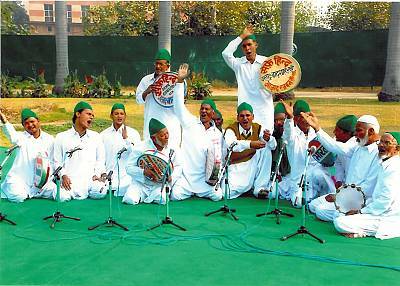 EN: A group from Rampur performing Chaar Bayt. 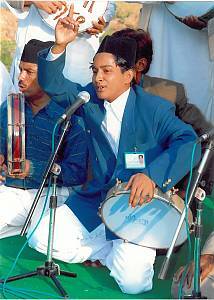 EN: A singer singing a Chaar Bayt at a high pitch.